The standard continues to be set for online casino, gaming excellence. The excellence continues with Real Time Gaming’s It’s Good To Be Bad Slots. It’s Good To Be Bad, is a throwback slot that comes with 3 reels with a single pay line. The game design is in the mold of a vintage slot machine, that even has credit buttons, a spin button and a side crank. The theme of the game centers around the good versus evil concept, with the clouds representing good and the devil holding a pitch fork, representing evil. The symbols in the game are in the tradition of classic slot icons. The red sevens rank as the top paying symbol. Getting a set of three of them to land will shell out 200 credits if you are making your bets with a single coin. Should you make bets of two coins, the amount will grow to 400 credits and a three coin max wager will result in 600 credits. Beyond the red sevens, the red fives come in at number two. If you wagered a single coin, three red fives will gain you 50 credits. The max credits with three red fives will result in 150 credits. The cherries is the symbol that lands with the most frequency. You stand to win a single credit for landing one on the pay line. There is more to It’s Good To Be Bad Slots. Don’t worry about losing. In fact, if you lose, it will impact the losing meter for your advantage. If you lose four straight times, you will be awarded a free spin. You can gain 20 free spins depending on the amount of your losses. And not to be overlooked is the major, progressive jackpot that is waiting to be won should you lose 29 straight losses. The minor jackpot lands with the most frequency. Its value is based on the number of coins you are wagering with. There is no auto play, mode so you will have to place all your bets on your own. There are single, double and max credits buttons to assist you with this. 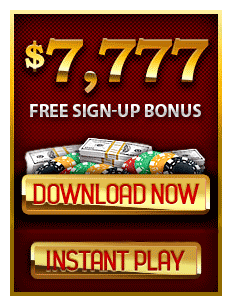 It’s Good To Be Bad Slots is available at many online casinos to play at your leisure either through the web browser or for download.